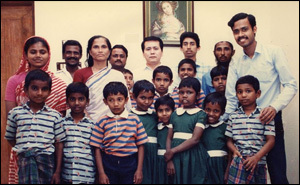 International Angel Association was established in 1982 in Japan under the slogan "Love Over the World". It is Voluntary Organization which serves humanity, peace, and friendship. Most of the members are women supporting to continue the activities of the organization. The fund for supporting the developing countries is collected by the charity activities such as charity bazaar, charity concert etc with the supporting hands of the volunteer members in Japan. We are supporting not only Bangladesh but also Philippines, Thailand, Cambodia, Sri Lanka and Sierra Leone (West Africa) in the field of Education. Mrs. Yuriko Kawamura founded International Angel Association in 1982. And her friends & associates are supporting to continue this voluntary activity. She made her efforts to help the people of the developing countries on education and self-reliant of women. She died on 23rd November 2004 in Japan. Mrs. Mariko Higashimura is the present chairperson of International Angel Association. She is the daughter of our Founder who succeeds to her mother activities since 2004. Md. 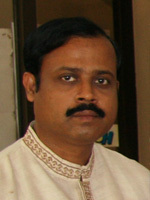 Azizul Bari is the executive director of International Angel Association in Bangladesh. He joined the beginning of our Bangladesh projects since 1985. We opened the office at Mirpur, Dhaka. We started Orphanage project with 12 children. Now we call it "Angel Home"
We started Students Help Program with small number of students. We move Angel Home from Mirpur to Konabari, Gazipur. We started to donate the school building to the local school committee. We started Woman Education Program by helping local Konabari NGO. We started Technical Training Center at Konabari. We started Woman Welfare Center at Konabari. We started Health Care Center at Konabari. We constructed the Public Library at Kapasia. We started YURIKO Angel School project at Konabari. We cerebrated on 20th Anniversary of our activities in Bangladesh. We constructed the New School Building of YURIKO Angel School at Konabari. We extended the school building of YURIKO Angel School. We cerebrated on 25th Anniversary of our activities in Bangladesh.